Yeah string diameter lol. can you imagine the poly count if i used mesh based winding on the strings? That's some nice progress though @A3DLover! I'm pretty happy with my mag wheel for my car, but I've struggled some with the tire. Will check out that tutorial to see another way to make it work. Edit to add: That video was tough to follow, but I got the gist of what he was doing. It cracked me up he left the crash of Maya and restart of the project on there. :) He also needs to watch Max's latest video on edge flow. But it did give me some ideas about how to try to tackle this. Will give it another try once I'm done with the cleanup work I'm doing on my car right now. Thanks again for sharing. It helped inspire some ideas. 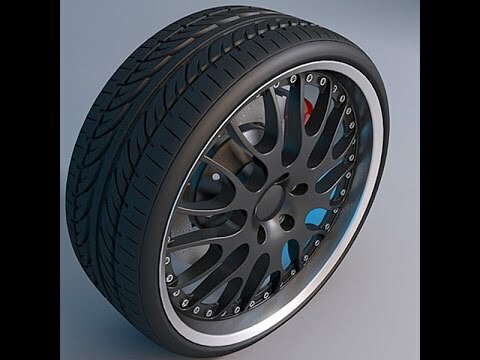 Thanks the wheel i made fast as i could the tire and tread was very tedious even tho i followed the tut about 50%. The tread design is actual from those add on tracks for bobcats. Here's a little part of a project I am working on at the moment. Like that routered look on the mirror tabe and leather effect on the seat. How did you get the wood grain texture to look so natural? Working out what size map to use, and checking the scale of things with a test grid helps a lot. in my beer drinking days (a few decades behind me now) i never had the opportunity to drink keg beer. but i always wanted to polish one to a mirror finish. You didn't miss much. It tastes about the same as regular draft beer from a bar or restaurant. 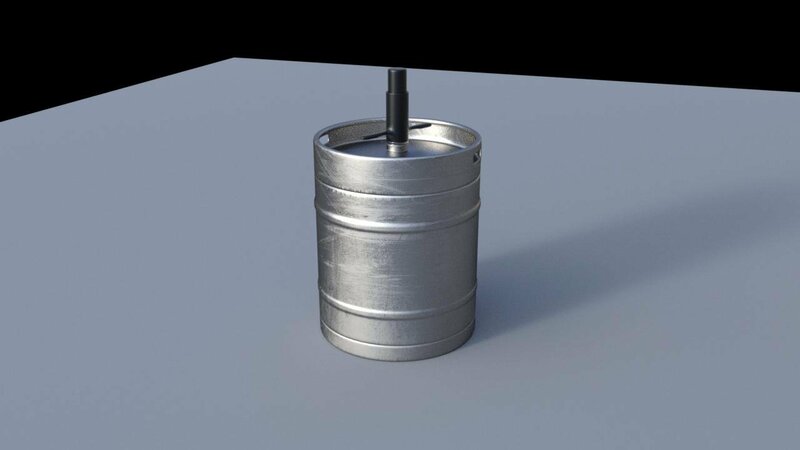 One thing I learned doing research for this model is that hand pumps force oxygen into the keg which causes the beer to go flat in a day or so. I'm in the same boat A3DLover, no-a-days I can make a bottle of Hobgoblin last a week as shandys. Thanks! My pet peeve is 3d stuff that looks way too new. I've been learning a ton of stuff from this forum over the past few weeks. Nice work! 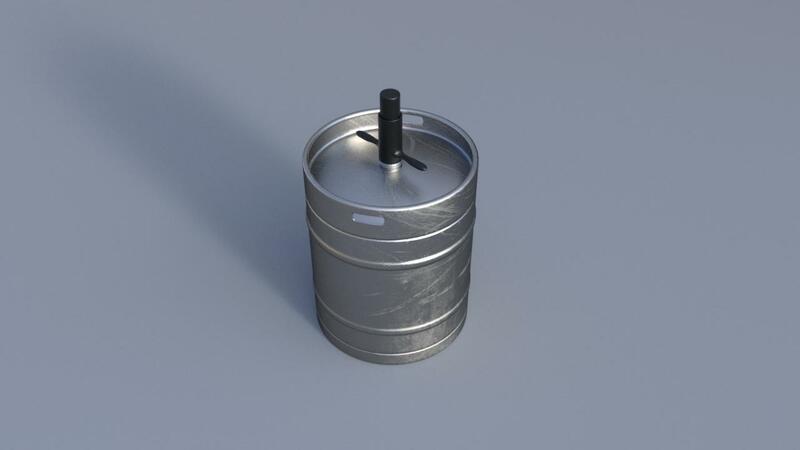 I didn't know keg finishing was a thing till I saw the pictures online. I guess if I ever build my dream home, it'd be nice to have a shiny beer keg in my bar/tavern. guess what real world vehicle this fits? i could sworn i was further along on this but heres an update. more going on with top than the bottom. im a real noob when it comes to textures and dont think i have the patience to map this when its done. A3DLover, I've got a project on at the moment but if you want I could have a go at unwrapping it for you when I'm done. All looks good BTW, have been following awhile and thought that was just too funny to pass up not comenting on. Thanks. I never knew anything about bar taps, but I assumed they probably used standard kegs. I guess I'd better get back to work on this thing. I got sidetracked by some other stuff. oh thanks for the offer John and yes id like that. that model and the klingon vorcha model i uploaded sharecg are trash compared to my recently reworked vorcha version as well this attack ship. @Protozoon, thanks! It's my first freebie. I love your work by the way.